Choosing a Costa Rica wedding destination just might be the perfect way to say "I Do". 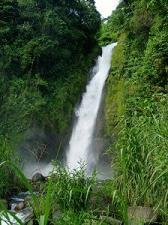 Costa Rica usually conjures up mental images of exotic animals, beautiful beaches and lush rain forests. Can you think of a more perfect place to get married? Getting married in Costa Rica is relatively straight forward. You will need a valid passport, and there are not any stay requirements which are very common in other popular destination wedding locations. Check with your wedding planner or resort contact to make sure you have all of your requirements met well in advance. 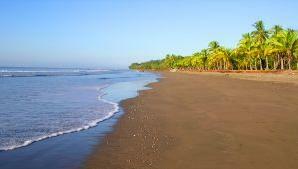 Below we have compiled a list of the top Costa Rica wedding destination guides. 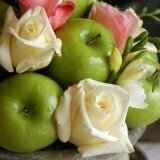 A true luxury hotel, the Four Seasons has all the amenities for a wedding to remember. Amenities include an Arnold Palmer signature golf course, tennis courts, three pools, fitness facilities, children's activities, babysitting services, four restaurants, a lounge and more. If you are looking for a unique location for your Costa Rica wedding destination, this may be the place. A Butterfly Observatory, Serpentarium (snakes), Hummingbird Garden, Frog Exhibit, Trout Lake and Waterfall Gardens make La Paz the perfect tropical setting for your wedding. Three locations for wedding ceremonies are available; near one of the waterfalls, in the butterfly observatory or in Colibries Restaurant. Located on 2,400 lush acres, this all-inclusive resort is perfect if you are bringing a large group and also if children will be attending your wedding. This resort has something for everyone including a Robert Trent Jones golf course, tennis, casino, nightclub and a lagoon-shaped pool that is the largest in Central America. Located on a 1,100 acre tropical rain forest overlooking the Pacific Ocean, Los Sueños Marriott Ocean & Golf Resort is known as one of the Worlds Best luxury resorts. Amenities include La Iguana Golf Course, on-site casino, six restaurants and lounges and spa and fitness facilities. An oceanfront green area is the perfect location for your wedding ceremony, especially at sunset. 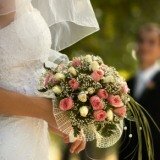 Certified wedding planners are available to help put all of your wedding details together. High above the blue waters of the Pacific Ocean you will fine Hotel La Mariposa. This resort is perfect if you are looking for action and adventure along with getting married. Activities such as ATV tours, sport fishing and horseback riding can all be arranged during your stay. If you are looking for a private, exclusive Costa Rica wedding destination, Tulemar Beach Bungalows and Villas is a great choice. Spacious bungalows and villas allow you relax and enjoy Costa Rica, and they are perfect for guests visiting to attend your wedding. The exclusive Tulemar Beach is perfect for water sports such as kayaking, and it was awarded an Ecological Blue Flag (Bandera Azul Ecológica) for its high level of quality. Sitting on the top of a mountain, it is difficult to beat the views offered by Hotel Villa Caletas. Standard rooms, villas and suites are available, and there are two restaurants and a beach bar to satisfy your dining and drinking needs. Set on a 150 acre private beach, Tango Mar offers a secluded beach and exotic birds and animals including Macaws and Toucans. Having earned an Ecological Blue Flag, you are sure to love the beaches and wildlife offered at this resort. If you are looking for luxury, class and upscale amenities, Florablanca meets all of those needs and more. Activities like yoga, pilates and relaxing by the pool allow you to renew yourself, however Costa Rica wedding destination has many options for the active traveler and is close to all the attractions that Costa Rica offers. If you are looking for a small resort that offers luxury, relaxation and romance, Los Altos De Eros is the perfect location for you. 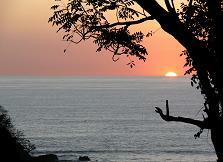 Relax with days filled with yoga and spa treatments, or spend your days touring around Costa Rica.